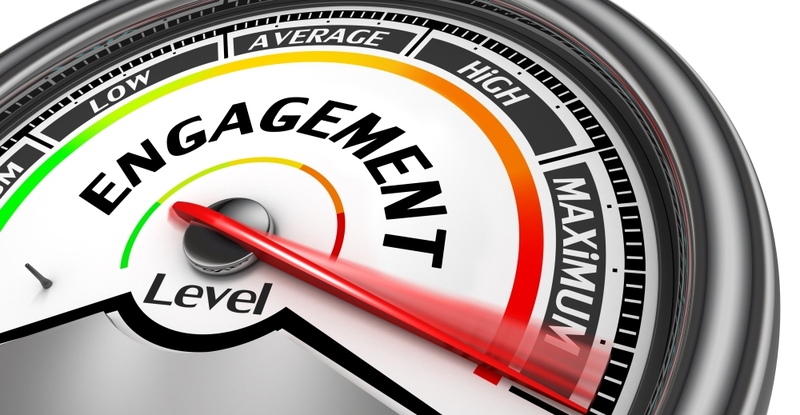 There’s a good chance your employees aren’t nearly as engaged as you think they are. In fact, a whopping 71 percent of employees are not fully engaged at work, and more than half are actively keeping an eye out for new job openings. The dissonance is understandable. The modern workplace moves at a faster-than-ever pace. Meanwhile, employees are wearing multiple hats and working from geographically diverse workspaces. Combined, these factors create disconnected company cultures, making it far too easy to lose sight of the company mission and individual purpose. Digital workplace platforms can help unify scattered and disconnected workforces. But, securing employee buy-in for a digital workplace isn’t as easy as it seems – just one in four employees use their company’s social networks, according to research by Altimeter. However, with the right strategy, digital workplace platforms can result in a huge payoff for employee engagement. Here are three steps to making a digital workplace platform stick with your employees. 1. Create compelling reasons for employees to use it. For a digital workplace platform to succeed, its use needs to be critical to employees’ everyday work routines. If it’s not essential, employees won’t use the new tool – and low adoption rates won’t move the needle on engagement. Walmart, for example, recently announced it has implemented Facebook Workplace, though it’s not clear just how many of its 2.2 million employees will use the platform. With employees spread across the globe in a variety of drastically different positions working in retails stores, distribution centers, and corporate offices, every single worker will need a genuine reason to log on to see true adoption. Employees will come for the content and stay for the community. When employees are pulled into a digital workplace to do their jobs, they’ll have the chance to engage with other features and discover fun elements that help them connect with others in the company, regardless of physical location. 2. Offer an experience in which employees want to participate. Millennials prioritize experiences above material possessions. Now they’re bringing the same outlook into the workplace and prioritizing experiences above wages. But talent is hard to maintain when workers have an experience-over-wages outlook. If an employee doesn't like the experience she is receiving from her current workplace, she will move on to the next one. In fact, 21 percent of millennials have changed jobs within the last year. That’s more than three times the number of non-millennials who transitioned to new positions during the same time period, according to Gallup. Many companies have invested in the customer experience. Now it’s time to focus on the employee experience – a priority that is well worth the investment. A good employee experience program not only creates an enjoyable work environment, it ensures employees identify with the company mission and their specific roles in achieving it. With such a fast-moving, geographically-dispersed workplace, it can be easy to lose track of purpose. Having a digital home base that employees can return to reinforces the company’s mission and makes the organization’s community more accessible and interactive. 3. Tailor the uses, but deliver a consistent digital user experience. Employee expectations for digital workplace tools are higher than ever – low-tech, one-way intranets simply won’t cut it. Instead, employees expect workplace tech to be mobile-ready, intuitive and similar to the experiences they enjoy as consumers. Large enterprises have thousands of employees operating in a variety of work environments. The digital workplace must be seamless and useful for everyone, whether it’s a floor retail worker, an online customer service representative, or a staff accountant at corporate headquarters. If the experience is disjointed or irrelevant to their work, employees will avoid the digital workplace, and the platform will never achieve full adoption. This is where outside vendors can help. An experienced digital workplace partner can tailor the technology to the needs of your workforce and deliver other benefits like integrating the personal productivity tools or enterprise applications you already use to improve communication, collaboration, knowledge sharing, and employee engagement across the organization. As the modern workplace continues to evolve, employers are desperate for solutions that can piece their workforces back together again, providing each employee with a sense of purpose and community. Digital workplace platforms fit the bill because they improve productivity and innovation and help create more engaging company cultures by providing a central destination for communication, collaboration, knowledge sharing, and social engagement. About the Author: Stephen Rahal is vice president of product strategy at Igloo Software (www.igloosoftware.com).